Choose soft cover or limited edition hard cover. 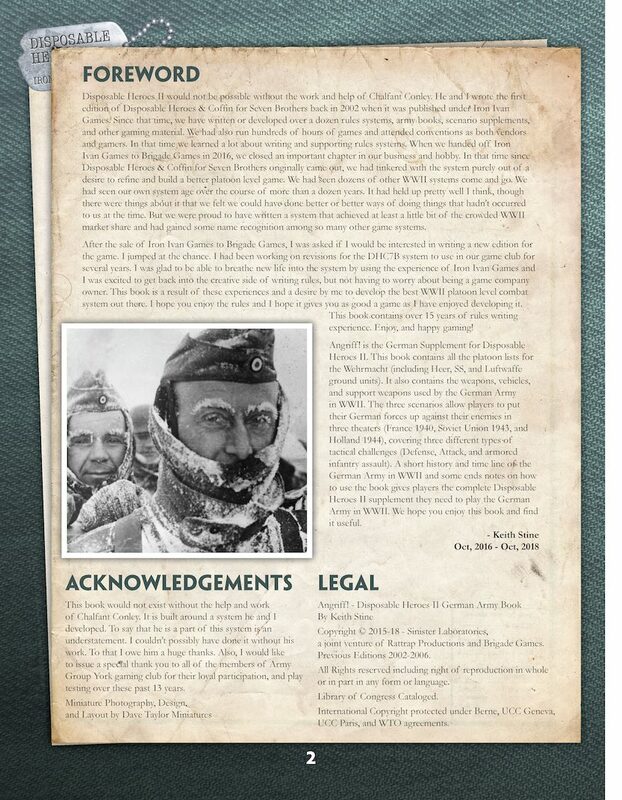 There is also an option for just the PDF version. The PDF version will have a download link sent to you from our download site, but be aware this is a manual process when we process your order. 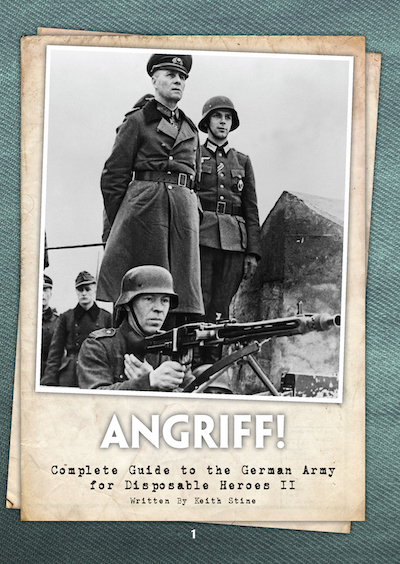 "Angriff", the German Army Book, has been updated and expanded (128 pages) to be used with the Disposable Heroes II Wargaming Rules by the author Keith Stine. 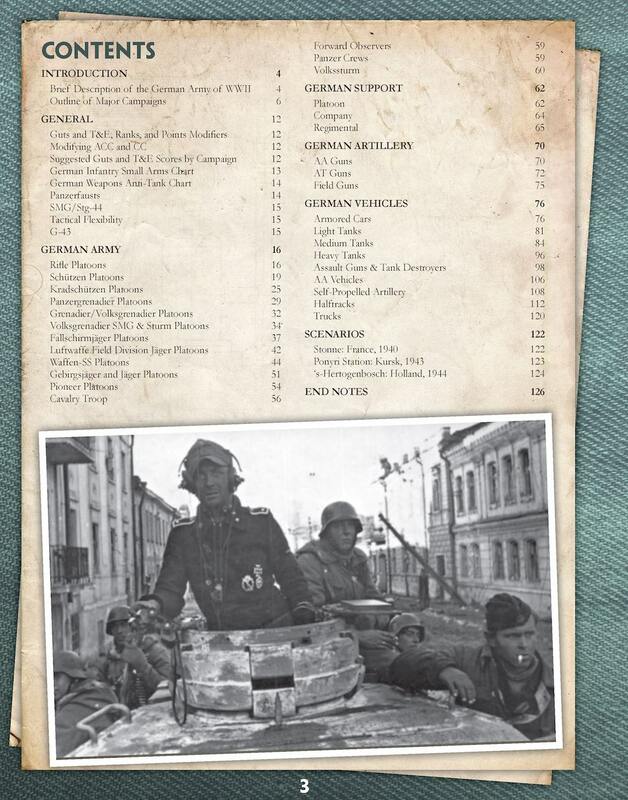 The book contains all the platoon lists for the Wehrmacht (including Heer, SS, and Luftwaffe ground units.) 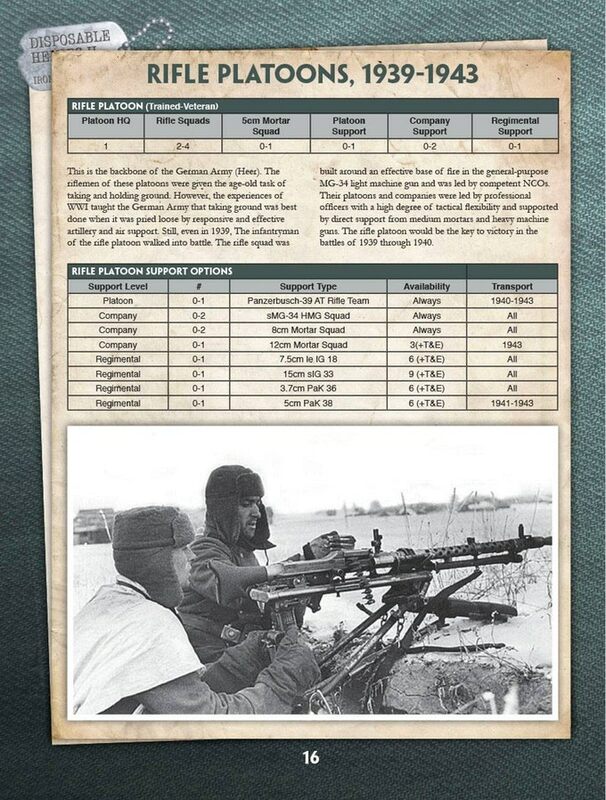 It also contains the weapons, vehicles and support weapons used by the German Army in WWII. 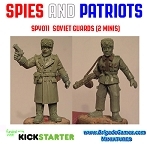 The three scenarios allow players to put their German forces up against their enemies in three theaters (France 1940, Soviet Union 1943, and Holland 1944), covering three types of tactical challenges (Defense, Attack and Armored Infantry Assault.) 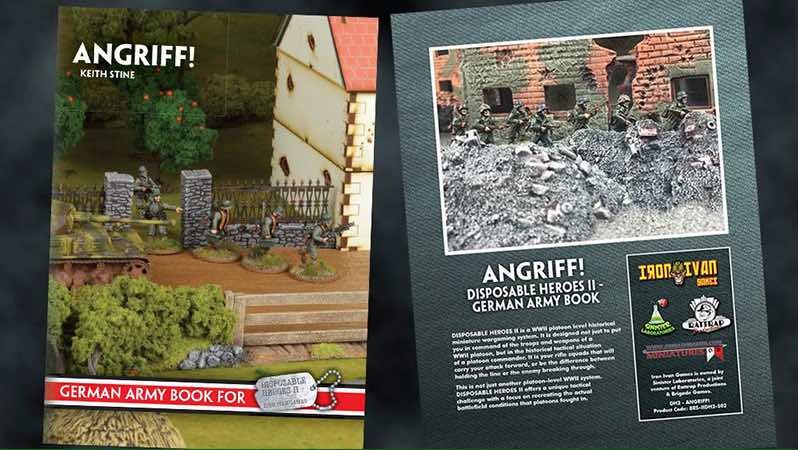 A short history and the timeline of the German Army in WWII and some end notes on how to use the book gives players the complete Disposable Heroes II supplement they need to play the German Army in WWII. We hope you enjoy this book and find it useful.